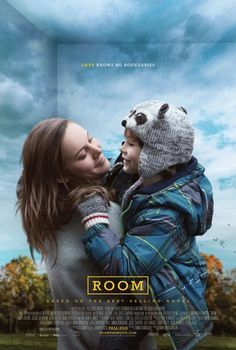 What did I think?I found “Room” to be a wonderful movie. It’s the typical story of the teenager who gets kidnapped on the way home from school and spends years locked in a room by her captor. During those years she gets pregnant of her captor and gives birth to a child that becomes her reason to survive. Up to this point it’s a story that has already been told a million times, but, here comes the spark of this movie, this one is told from the child’s (born in captivity) point of view. From the first scene on, the director takes us on trip inside this little 5 year old kid. How he structures his word, his conception of what the word is, and isn’t. What is real, what is imagination, what is TV, and so. On the side we see an extremely strong Mom who somehow managed to make of that terrible reality a happy one for her child. And then they finally get out and the movie starts… A wonderful movie indeed. I strongly recommend this movie to all psychology students or those who are interested in such topics. An already told story from a whole different point of view. Totally worth watching!